A printed poster issued by the Admiralty in 1945 as part of the 'Britain's Sea Power is Yours!' series showing a submarine crew. Illustration by the artist Arthur Ferrier. This Britain's Sea Power is Yours! 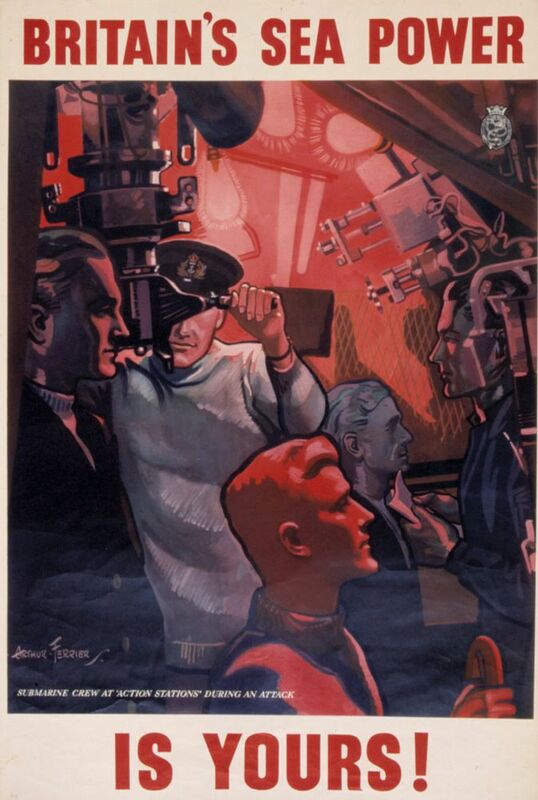 Submarine Crew at 'Action Stations' During an Attack Art Print is created using state of the art, industry leading Digital printers. The result - a stunning reproduction at an affordable price.